Intimate is a hybrid memoir and “photo album” that blends personal essay, historical documentary, and poetry to examine the tense relationship between self, society, and familial legacy in contemporary America. Typographically innovative,Intimate creates parallel streams, narrating the stories of Rekdal’s Norwegian-American father and his mixed-race marriage, the photographer Edward S. Curtis, and Curtis’s murdered Apsaroke guide, Alexander Upshaw. The result is panoramic, a completely original literary encounter with intimacy, identity, family relations, and race. Intimate is a hybrid memoir and “photo album” that blends personal essay, historical documentary, and poetry to examine the tense relationship between self, society, and familial legacy in contemporary America. Typographically innovative, Intimatecreates parallel streams, narrating the stories of Rekdal’s Norwegian-American father and his mixed-race marriage, the photographer Edward S. Curtis, and Curtis’s murdered Apsaroke guide, Alexander Upshaw. The result is panoramic, a completely original literary encounter with intimacy, identity, family relations, and race. 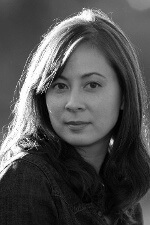 Paisley Rekdal is the author of a book of essays, The Night My Mother Met Bruce Lee (Pantheon, 2000; Vintage, 2002), and three books of poetry. Her work has received a Village Voice Writers on the Verge Award, a Fulbright Fellowship, and the Amy Lowell Poetry Traveling Fellowship. Her poems and essays have been featured in The New York Times Magazine, NPR, andNerve, and in many literary journals. Her book Animal Eye is currently a finalist for the Kingsley Tufts award in poetry. She teaches at the University of Utah in Salt Lake City.